To heal is to change the pattern in which energy flows. Like a tree, a human being grows from the roots up. We are as strong in our reach upward as we are in our rooted foundation. Therefore, in order to truly heal, we must trace the patterning of our minds and spirits to their roots. To heal our roots is to heal our whole selves and radically uplift our lives. On the path of spiritual self-discovery, to face healing is inevitable. To spiritually grow is to understand the patterning of your consciousness, and to constantly explore how it evolves. As you do this, it becomes evident that in order to reach your highest potential as a spiritual being, or rather to become the best instrument of divine love that you can be, it is necessary to pattern yourself after love in all ways possible. This is where healing begins. We heal in order to restore the flow of all aspects of our being to the same state of divine love from which we originated. In order to do so, it is necessary to discover and heal our roots. 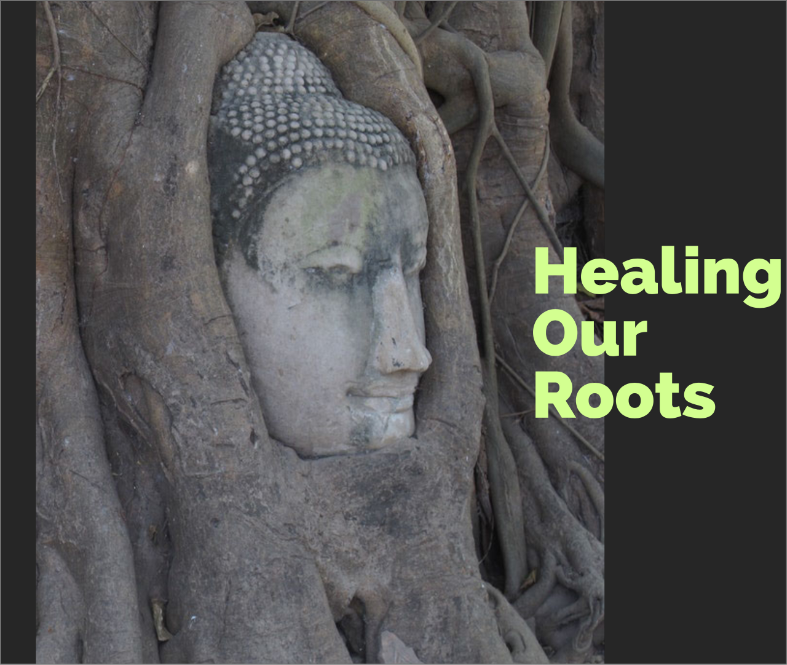 We heal our roots in many ways. For some of us, spirit brings us to the emotional roots of our childhood. Others are brought to the spiritual roots of past lives. Others still are brought to the roots of our ancestry. The patterning of all of these root systems can be healed such that we are founded in God, the Source of Love. As our roots draw the patterning of all energy in our lives from divine Love, so too do we simultaneously grow towards that same divine love. To discover and heal your roots is to gaze into the clearest mirror of self- understanding wherein God is discovered again and again.